Venerating Gods and Spirits in Bali | What an Amazing World! Delicately carved wooden statues in realistic proportions embellish people’s houses, floral designs are intricately sculpted on temple figurines, and sturdy yet delicate rock-hewn statues stand at major roundabouts and intersections. 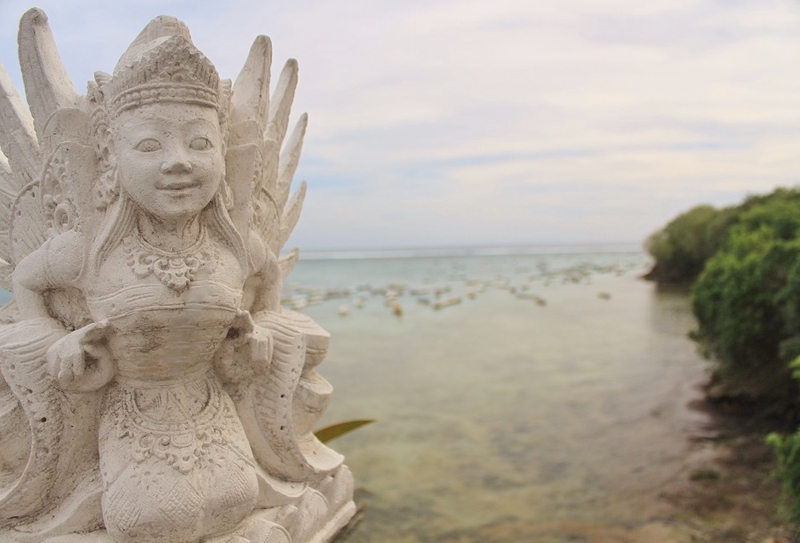 It is in Bali where statues hold a more significant role in people’s lives than merely pleasing the eyes. 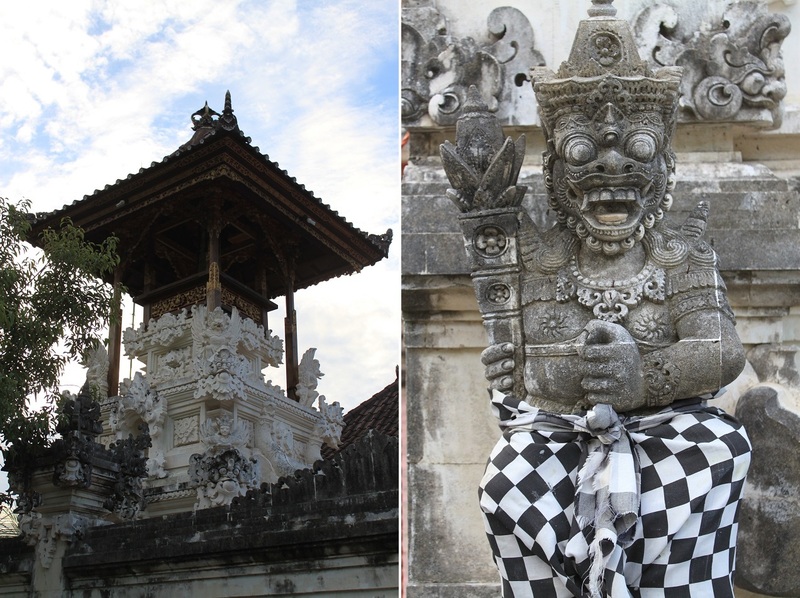 Balinese Hinduism – a very different form of Hinduism than the one practiced in India – emphasizes on satisfying the gods and spirits through aesthetic rituals. Hence the ever-present deity statues. The world-renowned Balinese artistic finesse, despite current commercialization to some extent, is a long tradition dating back to the time when Hinduism was predominant in Indonesia. As the religion flourished, so too did the local craftsmanship which resulted in some of Indonesia’s greatest monuments, the temples of Borobudur and Prambanan. However in the 13th century a new religion arrived in the archipelago, arising from the northern tip of the island of Sumatra. Within the next few centuries Islam spread rapidly throughout the region, until it reached Java and and forced many Hindus – including royal families – to flee to the nearby island of Bali. Those who remained in Java retreated to isolated places deep in the forest or on mountain slopes, far enough from the coastal regions where new Islamic kingdoms thrived. A theory argues that when the Hindu royal families fled Java, they took their finest sculptors along with them. Hence the lack of finesse at Hindu temples constructed during the decline of the religion in Java, like Candi Sukuh. Today Bali is a stronghold of Hinduism in Indonesia, with more than 90% of the locals adhering to the religion. Despite its relatively small size – smaller than the island of Corsica and the state of Delaware – Bali is one of the main tourism growth engines of Indonesia, and in many cases is more well-known than Indonesia itself. It is often dubbed the ‘Island of the Gods’ for its veneration of almost everything. From volcanoes to cliffs, lakes to beaches, and rice fields to rivers. Balinese believe that gods and spirits reside in those places, among others, hence the rich and varying cultural scenes throughout the island – it’s a trait that draws me back again and again. To be honest I think I can spend hours just in one place for taking pictures of all the small details. 🙂 I’m not sure if some of the statues were painted because I remember seeing local vendors selling unpainted statues in their workshops. But maybe some of them did get a paint job. Yes, you have plenty to photograph in Bali! I hope the weather will be nice. Nice shots, and pretty interesting notes. Thanks Sreejith! 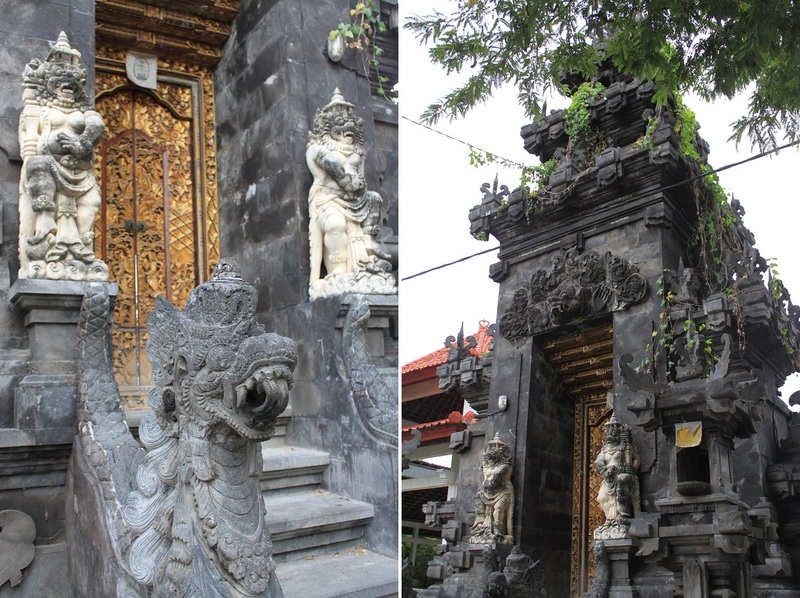 Learning the history of Hinduism in Bali only makes me want to visit India more than ever. Seeing photos from Bali and going through the history I also feel the same. One thing I am really interested is the temple architecture, and it’s pretty interesting to correlate each south Indian kingdom with a typical temple architecture. You know, actually India left a profound influence in Indonesian culture. Before Hinduism, Buddhism was the predominant religion in the country. Many ancient Buddhist temples in Sumatra bear similarities with the temples in Nalanda. So going to India would not only make me understand India better, but also Indonesia and its cultures. It just shows how meaningless these political boundaries are, right? Exactly! We are more connected than many people would think. Yes Bama, I totally agree with you and hope, both of us will get enough chances to travel, explore and learn more about the history of India and Indonesia. 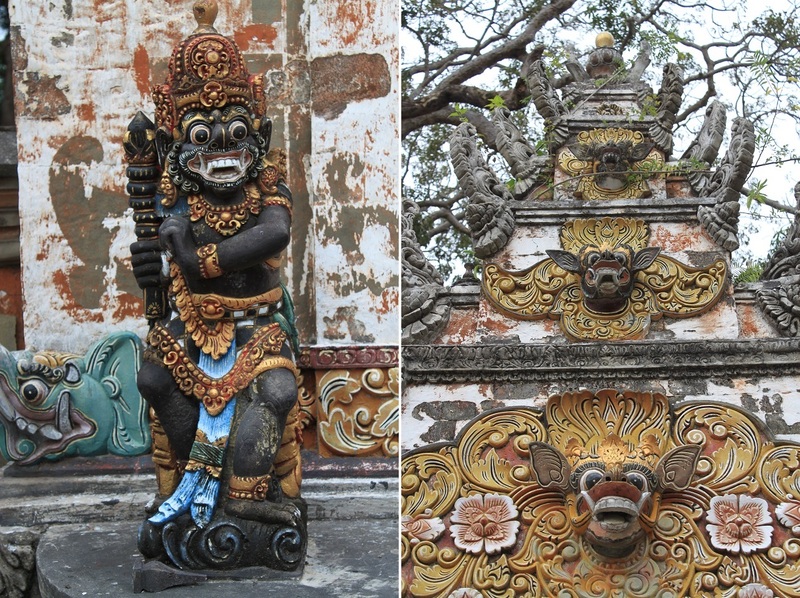 These ancient temples and carvings in Bali and also in the past posts that you highlighted are truly astounding. I wonder if anyone in the present can still sculpt at this level of artistry. The history you write about is always fascinating. those in Mexico, whether they be Mayan, Aztec, or those of many other people. In reading on, you mentioned exactly that. I don’t know if you have ever visited southern Mexico, but if not, I hope you can someday. There are archaeological sites everywhere, many of them unexcavated. That’s exactly what I had in my mind when I went to all those magnificent temples. Replicating ancient artistry is a hard thing to do, let alone improving it. There is actually another temple in Java with bas-reliefs depicting figures from foreign cultures, including Aztec/Mayan. No one really knows how and why they’re there because until now there is no clear evidence of past connection between Indonesians and Aztecs or Mayans. I have yet to visit that temple though, so I should put it on my priority list. I would love to go to southern Mexico and Guatemala one day to explore the ancient ruins. Do you have any favorite temple from the region? Tikal in Guatemala is a must. One of the things that struck me most was the way it rises up out of the jungle. It was possible to climb some of the structures, and as far as you could see in every direction was green. In the Oaxaca area of Mexico where we are, the sites are mostly of the Zapotec people, who still populate the surrounding villages. The largest of the sites is Monte Albán, which is visible from the rooftop of where we live. It is located high on a mountain top that faces the entrance to the Oaxaca Valley and the valley behind, so they could definitely keep track of activity in every direction! There are photos of it on my post of Jan. 4, 2013. Mitla is another Zapotec site, but the style and adornments are very different, and I liked this one a lot. Two nearby smaller sites that I am going to visit soon are Yagul and Dainzú. We are planning a visit to the state of Chiapas (south of here) in late January, and one of our destinations there is Palenque, which is Mayan. The Yucatán is an area with many Mayan sites…maybe next year! There is a photo on my last post of a ball court located in an unexcavated site that was part of our last week’s hike. Our guide pointed out a few other sites that we could see in the distance, some even have names but are not excavated and probably never will be. I think knowing that these ancient places are literally everywhere in Oaxaca is what is so fascinating. When the Spanish conquistadores raged through Mexico, Catholic churches were often built right on top of pyramids or other structures. In the state of Oaxaca there are many groups of indigenous people, such as Zapotec, Mazatec, Mixe, and Amuzgo, and there are 16 languages spoken (besides Spanish) with different dialects. Oaxaca is quite a wonderful place with so much to discover. Marilyn, your description of those sites really makes me want to go there as soon as possible. It always fascinates me to think of other cultures developed by people who lived in the other part of the known world or old world as some call it. For me it’s amazing to see how people, i.e. ancient Egyptians and Mayans, had the same way of venerating their gods or leaders, that is to build pyramids. It’s an example how we humans have more things in common than difference. I took a look at your photos on Monte Albán and it seems like a very interesting ancient place to visit! Mexico is such a big country and I’m sure a visit would never be enough for me. Thanks for bringing up those remarkable ancient sites Marilyn! Once upon a time, in a desperate attempt to resurrect my boutique’s success and finally live the life I tried to establish for myself, a friend planned a wonderful import trip for me to Bali, Nepal, and India. Unfortunately funds dried up too soon and I regretfully declined. Now that I no longer run a boutique, some day I plan to travel and write again without that burden. Your photos remind me of some of the beauty and rich history I yearned to explore. Thank you. Life works in a mysterious way. Had you traveled to Bali at that time, probably you wouldn’t have been who you are today. And now, without that burden I’m truly hoping that you’ll find yourself exploring the island with a much freer spirit sooner than later. You’re welcome Laura, and thanks for dropping by! So true, Bama. And Thank you. Marvellous photos. I do love temples and Images of other gods. When I first went to Bali in the 90’s, I bought some Indonesian carvings which I had to hold all the way through my flight from Bali to Berlin, as I was afraid of it chipping or falling. It’s still an ice-breaker in my house today! I studied in Bali for 3 months this year and I love the island. 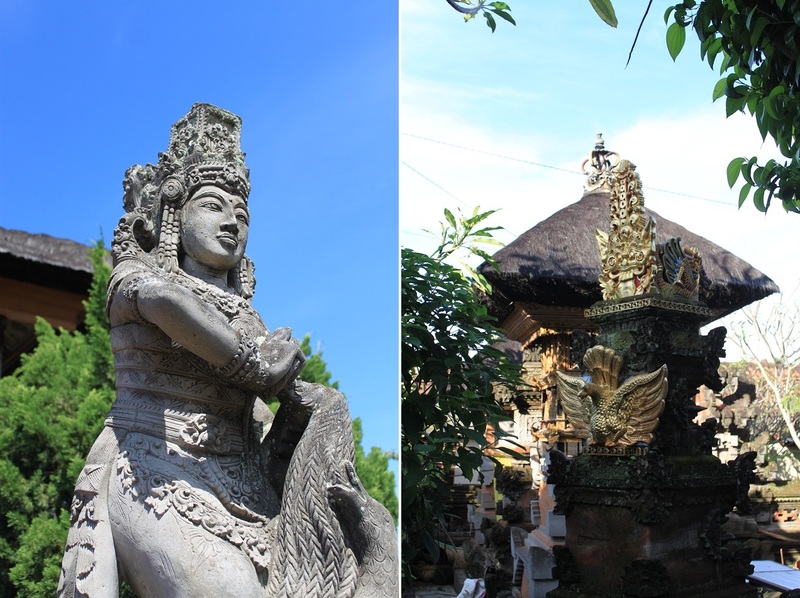 The pictures you show in this post are really showing the image of Bali since the temples and statues are everywhere! Brings back some good memories 🙂 Have you experiencend ogoh-ogoh / Nyepi while in Bali? It’s also about all the spirits on the island and making sure the evil ones leave Bali. 3 months in Bali sounds like a decent amount of time to truly explore the island and get immersed in local culture. In fact I haven’t been to Bali during Nyepi because that’s the only time of the year when the airport is shut. However I’ve been reading interesting stories about staying in Bali during Nyepi. So maybe one day I’ll experience it myself. Thanks Catsy! I’m glad you enjoyed my blog. People might have different feelings towards religions. But they are undoubtedly the reason behind many of the world’s most magnificent and beautiful monuments. I just learned a bit more about how Hinduism inspired Buddhism a few days ago through a video that I found on YouTube, and it’s really interesting how both religions shared the same history. Thanks for dropping by! Thanks for your kind words, Terri! I have the exact same feeling for Bali, and as a matter of fact so far in every visit to Bali somehow I always managed to discover something new. However on my latest trips I skipped Kuta and all the touristy corners of the island altogether. Awesome, this post has really changed my perspective on Bali. As an aussie I have never been to keen to head there due to the fact that from what I have heard it is generally just full of drunken fellow Australians. It seems like there is some really cool stuff to check out though. The thing is most people flock the southern part of the island, like Kuta or Legian, where you can easily find those drunk tourists. But if you head north, east or even further west you’ll find a completely different Bali. Temples, volcanoes, lakes, diving sites and cultural sights are some of what the island has to offer other than beaches. Hi Bama, such a profound post. Those statues are truly exquisite. I can’t wait to see them and experience the spirituality of Bali for myself. Hopefully next year. Well, haven’t been to Asia yet. So maybe Bali should be on our list. It definitely is, Jean. And maybe you should also make the nearby island of Lombok on the list as well. It has some of the most stunning beaches I’ve ever been to. Your post is so awesome, Bali is not only about beach, it’s also about spirituality. Nice photos, Bama! Thank you, Alvian! Unfortunately for some people today Bali equals party. They miss the cultural scene altogether, which is actually what makes Bali unique compared to other parts of Indonesia. Your blog is beautiful! I love traveling. Your pictures are just so amazing and capture reality. i love it! I have always wanted to go to Balli! Your pictures and notes have only increased that desire. Also wanted to take the time to say that I love your blog and the photographs you take are stunning. Thank you for allowing this dirt poor newlywed to live vicariously through your travels. Bali, despite its popularity, still has peaceful corners for those who seek serenity. I hope you’ll make it there sooner than later, and thanks a lot for your kind words, Rachel!